Pope Francis has accepted the resignation of Monsignor Dario Edoardo Viganò, Prefect of the Vatican’s Secretariat for Communication. Pope Francis on Wednesday accepted the resignation of Mons. 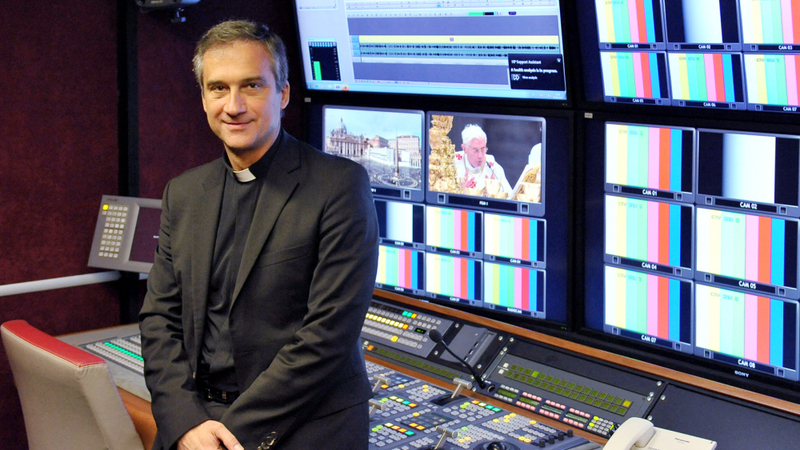 Dario E. Viganò, the man he had chosen to spearhead the Vatican media reform. In a letter published by the Holy See Press Office, the Pope said that after having reflected carefully on Monsignor’s Viganò’s request to step down from his position as Prefect of the Secretariat for Communication, he accepts his resignation “not without some effort”. In the letter the Pope nominates Viganò "Assessor" for the Dicastery of Communication asking him to stay on within the Secretariat so as to be able to continue to give his “human and professional contribution” to the new Prefect and to the media reform. In his letter addressed to Pope Francis, and dated 19 March, Viganò refers to recent controversy concerning his work and thanks the Pope for the “paternal and solid” support manifested throughout his mandate. However, he explains he has decided to step down out of respect for the people who have worked alongside him during these years, and to avoid that the “Motu Proproi,” on the Vatican media reform, can in any way be “delayed, damaged or even blocked”.